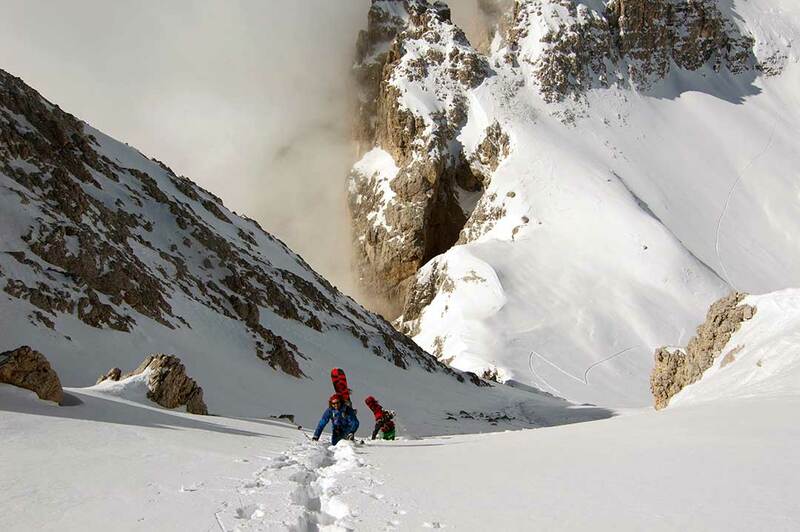 I am just back from my trip in Iran and within few days i am hitting the road again. 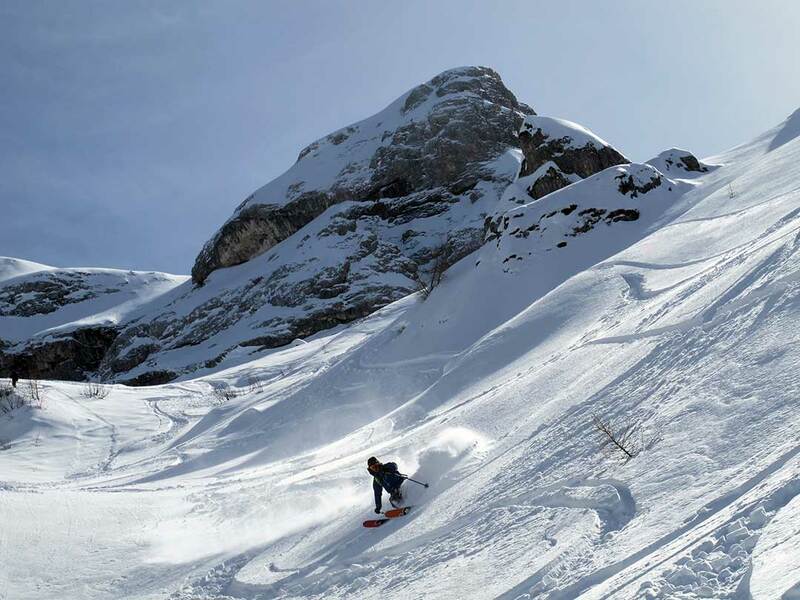 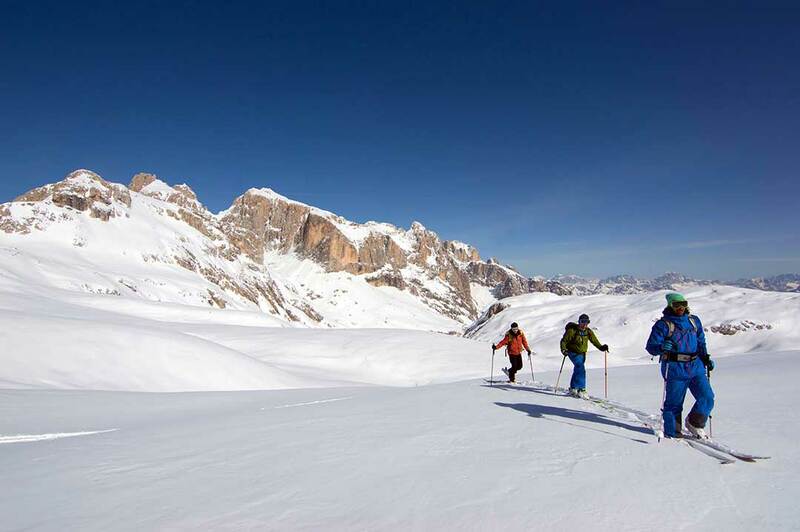 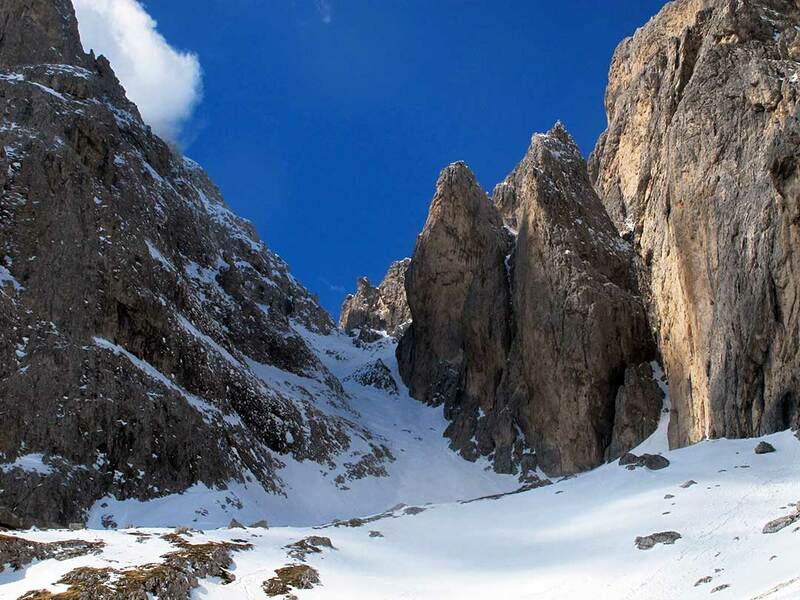 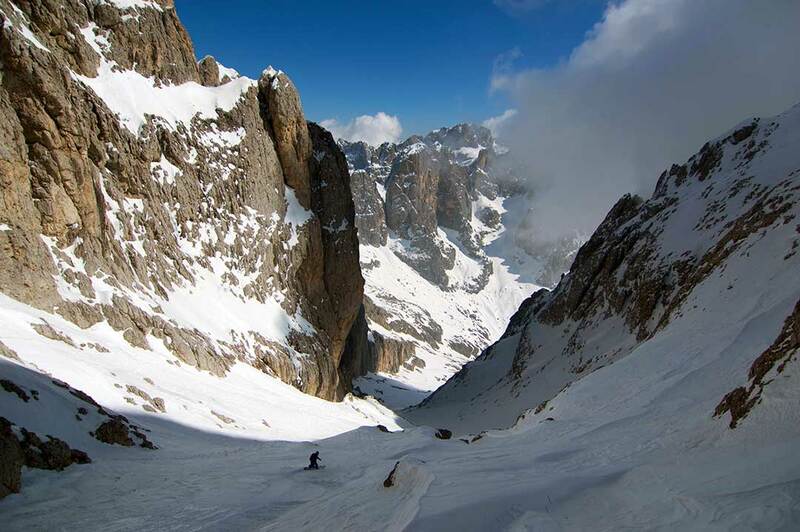 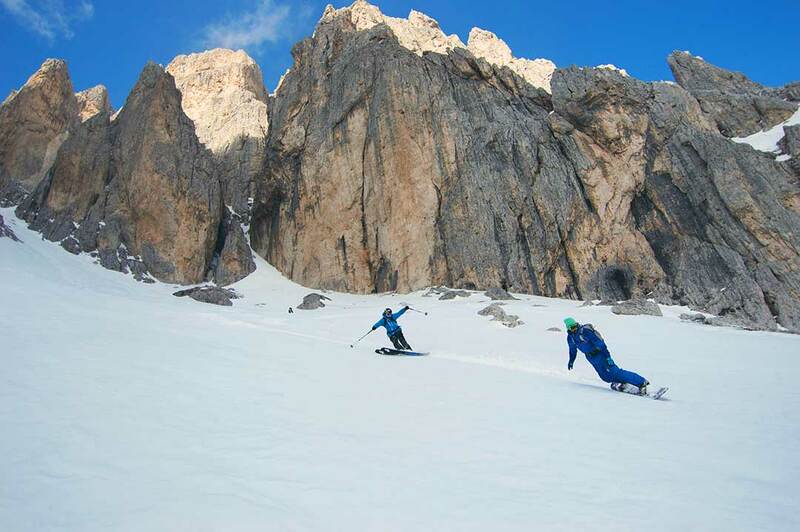 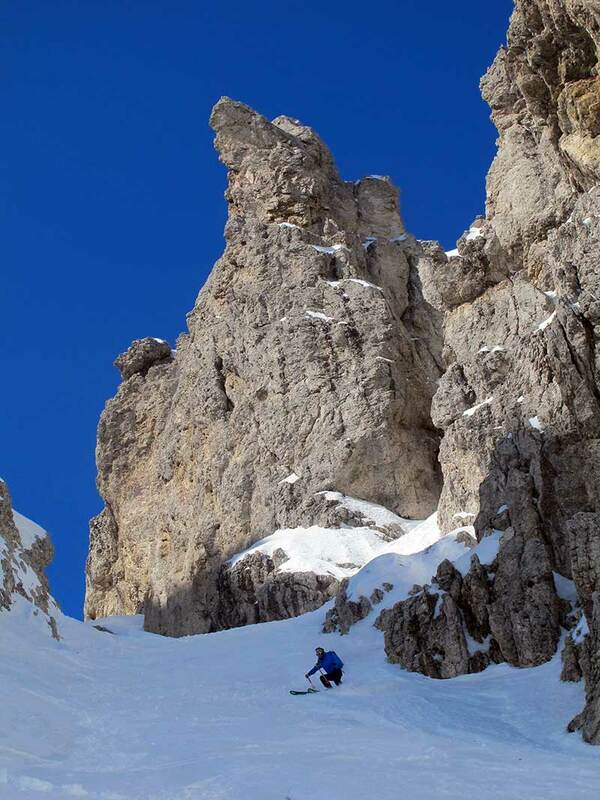 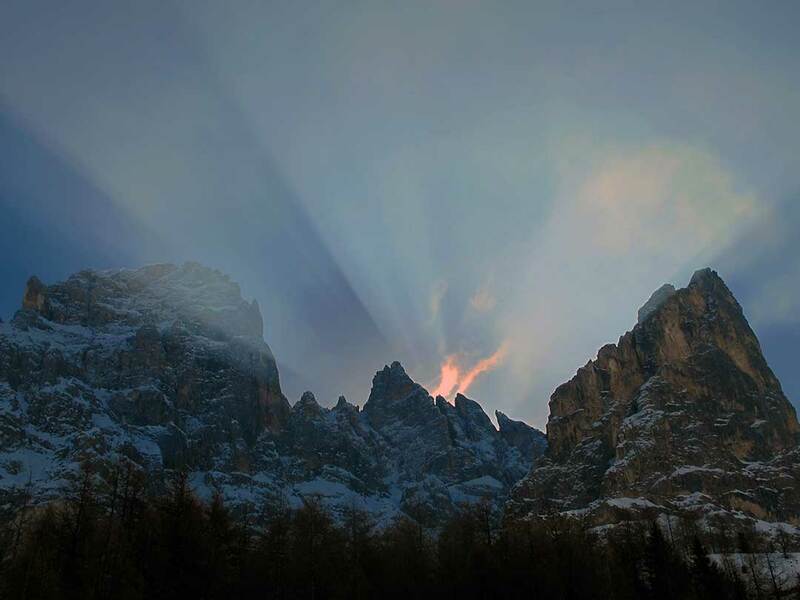 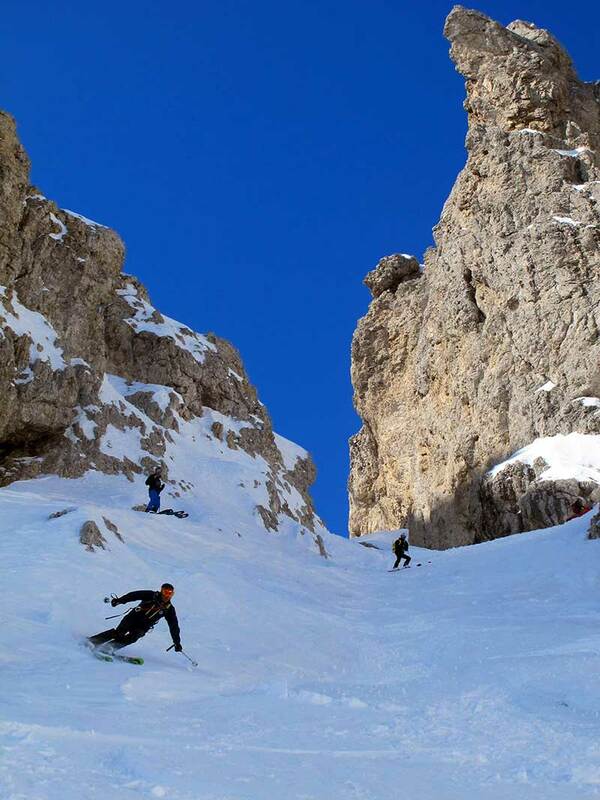 For the second year the Salewa CLIMB TO SKI camp will take place in the beautiful village of San Martino di Castrozza – Dolomites. 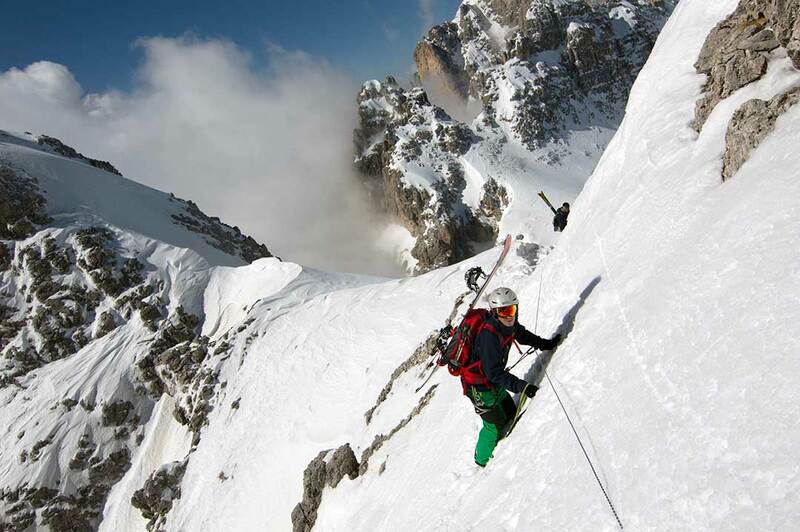 The winners of the online contest have the privilege to participate in the free ride camp, riding with the Salewa athletes, in one of the most beautiful places in the Alps. 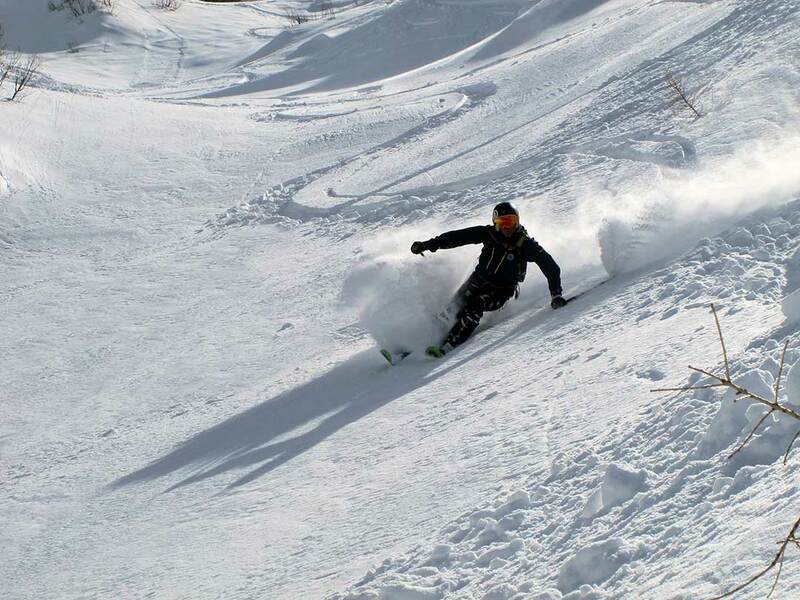 This year we have been very lucky getting 40 cm of fresh snow just the day before the camp started. 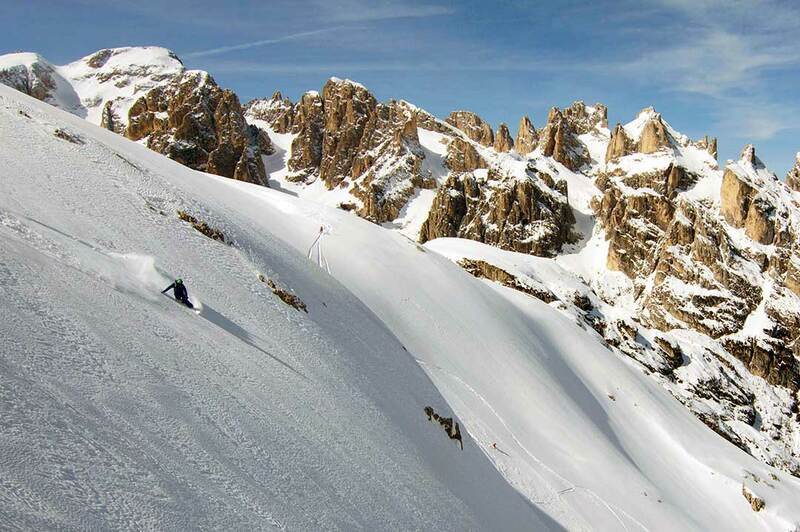 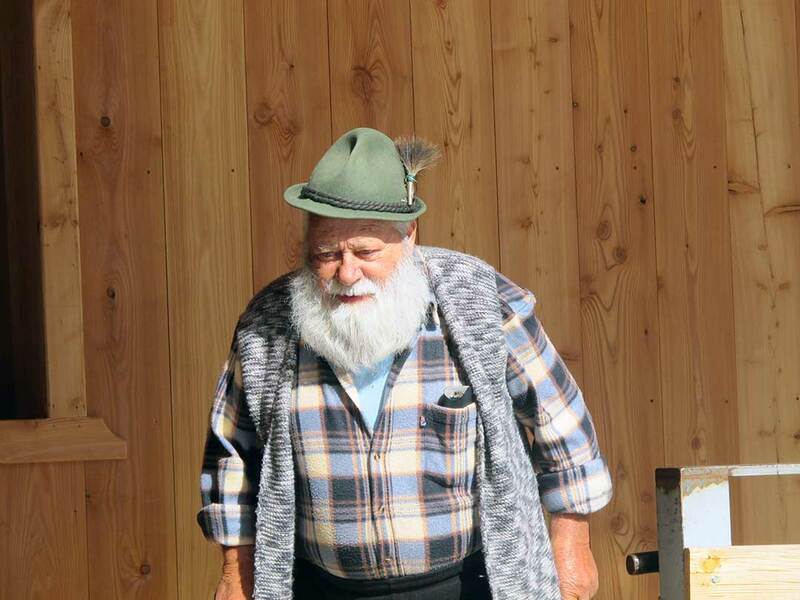 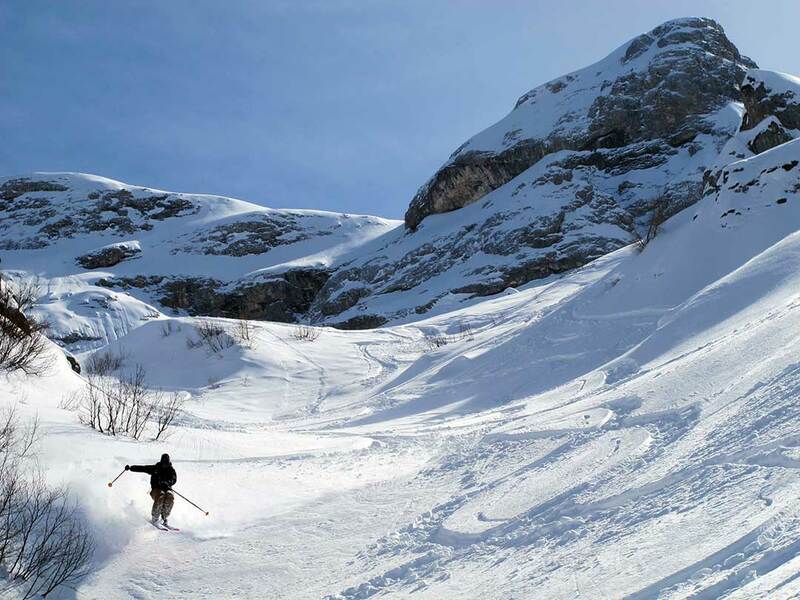 Le Aquile di San Martino (the San Martino’s Eagles guides) brought us in the best places the resort can offer. 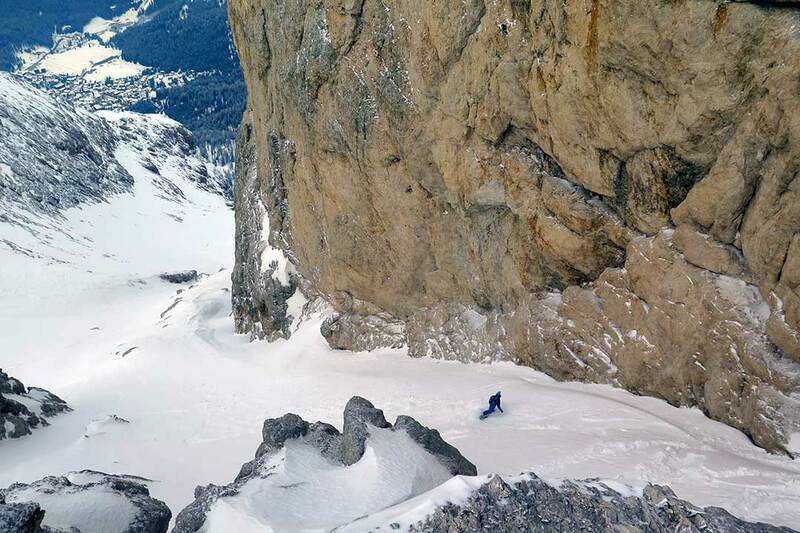 We did not meet a single skier during the all camp; this place is pretty magic !! 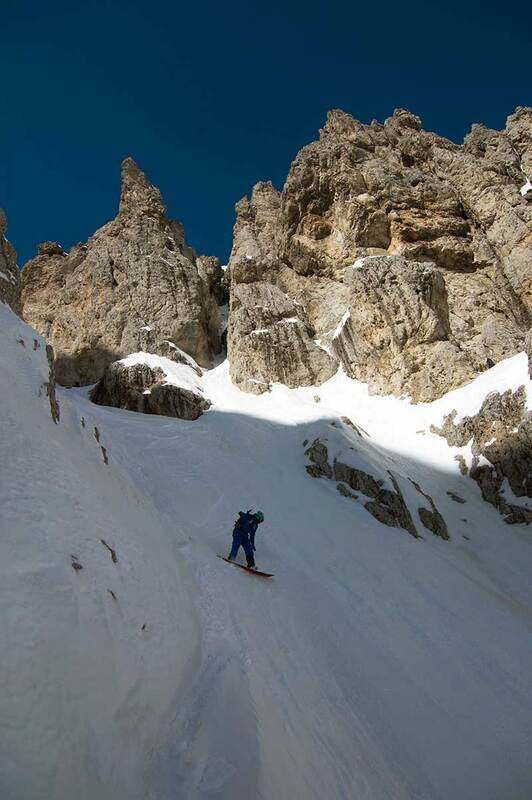 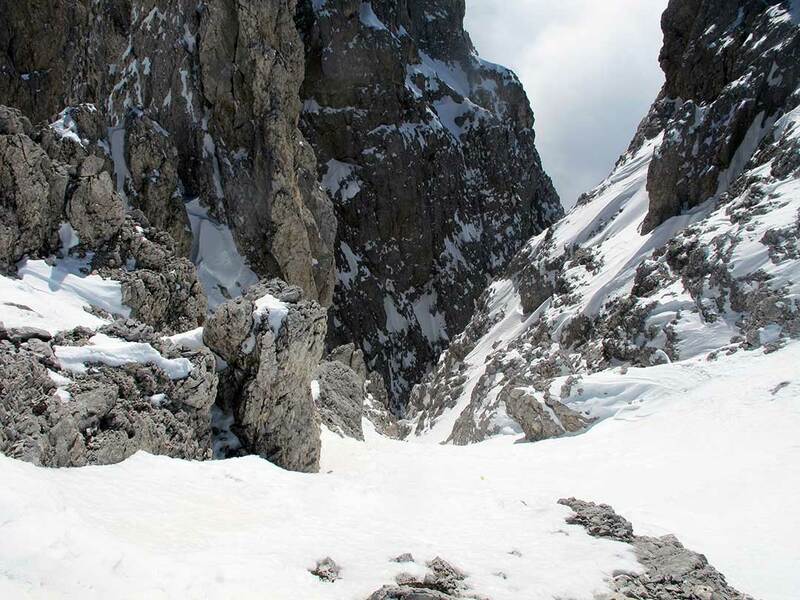 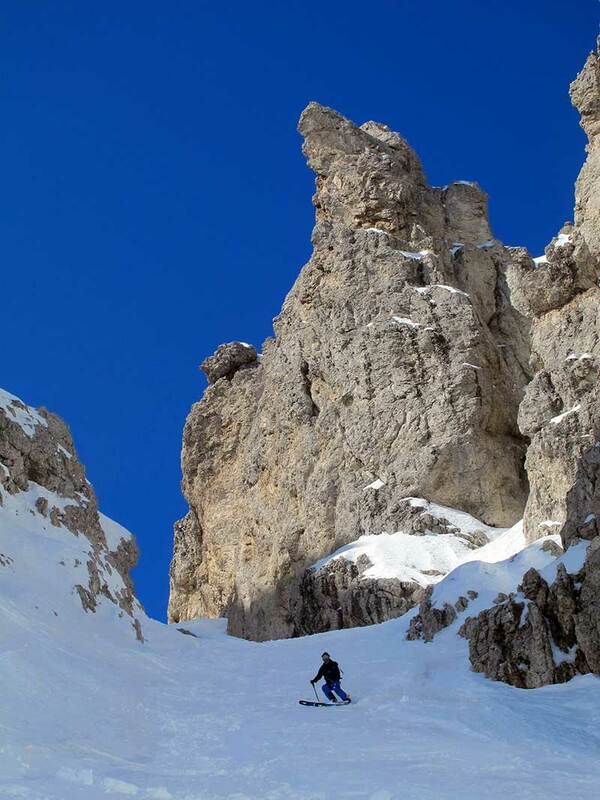 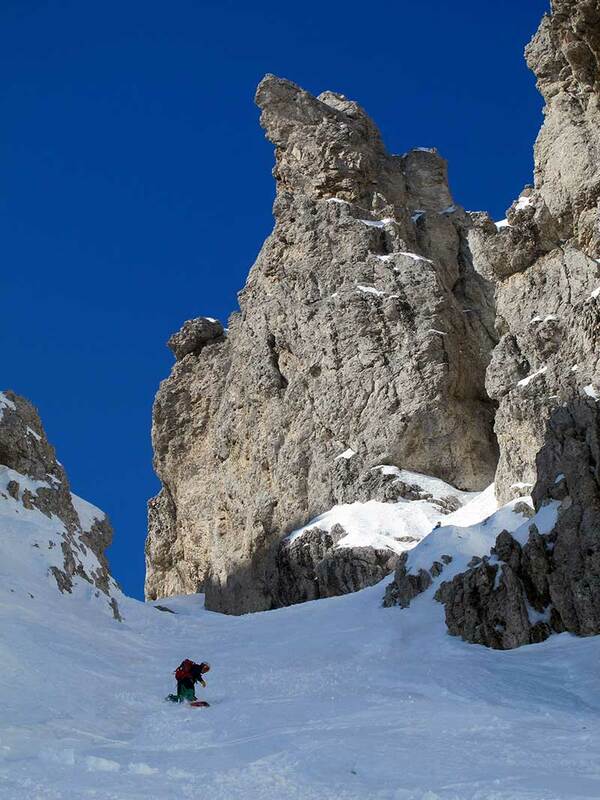 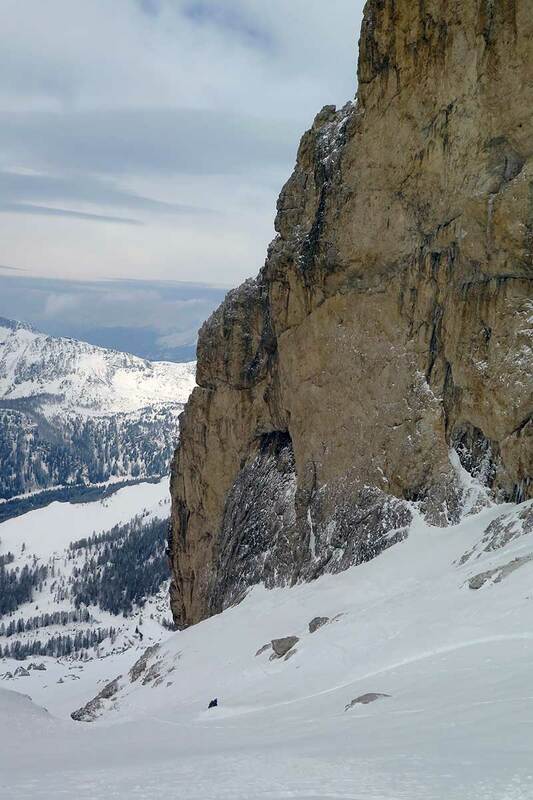 Definitely one of the best Dolomites couloir i ever rode ! 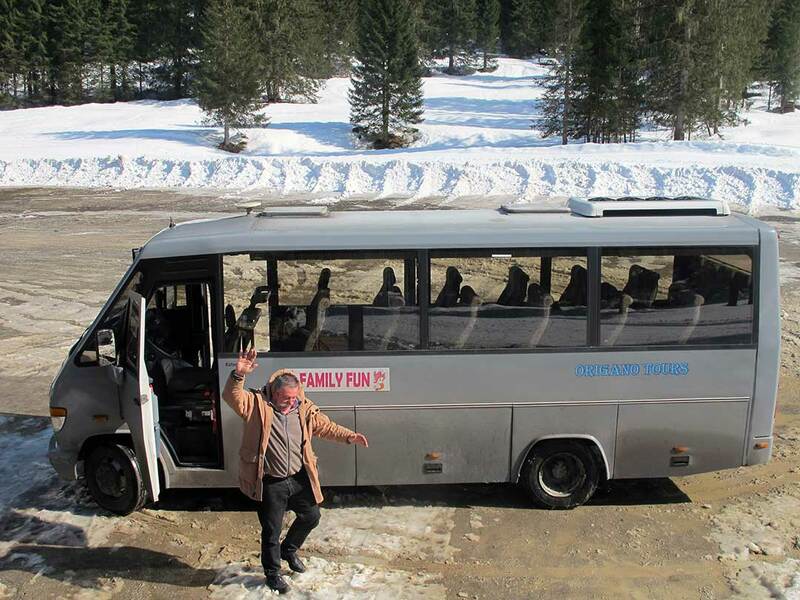 We spent the most dangerous moments of the camp with this man driving this bus back ! 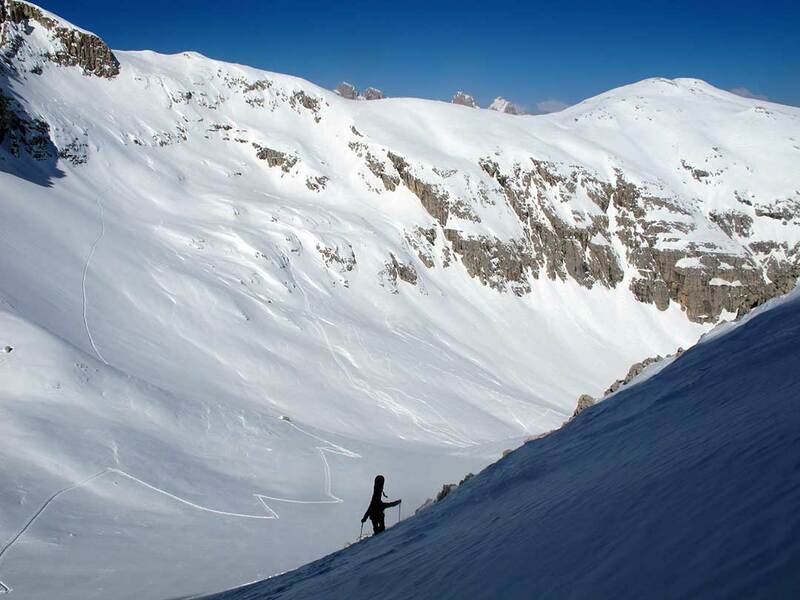 The day after the camp i wanted to take advantage of the great conditions and I went on a solo mission trying to reach the top of the Bureloni couloir from behind but the snow was to deep to make all the track alone. 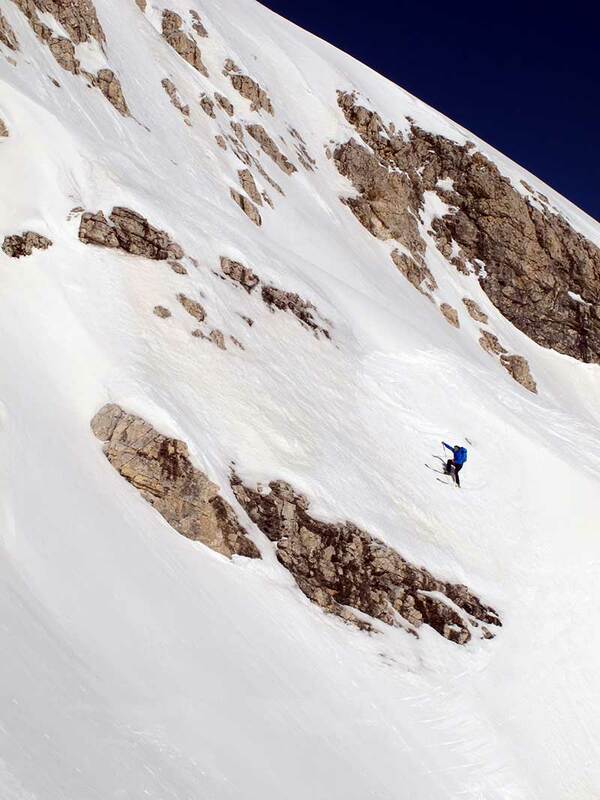 I discovered a beautiful untracked 40°couloir on the way and had a sick lonely ride. 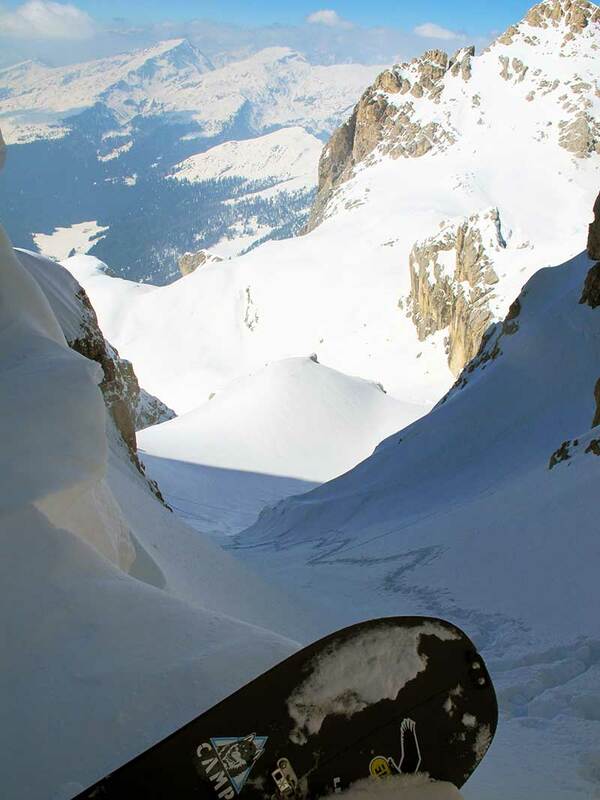 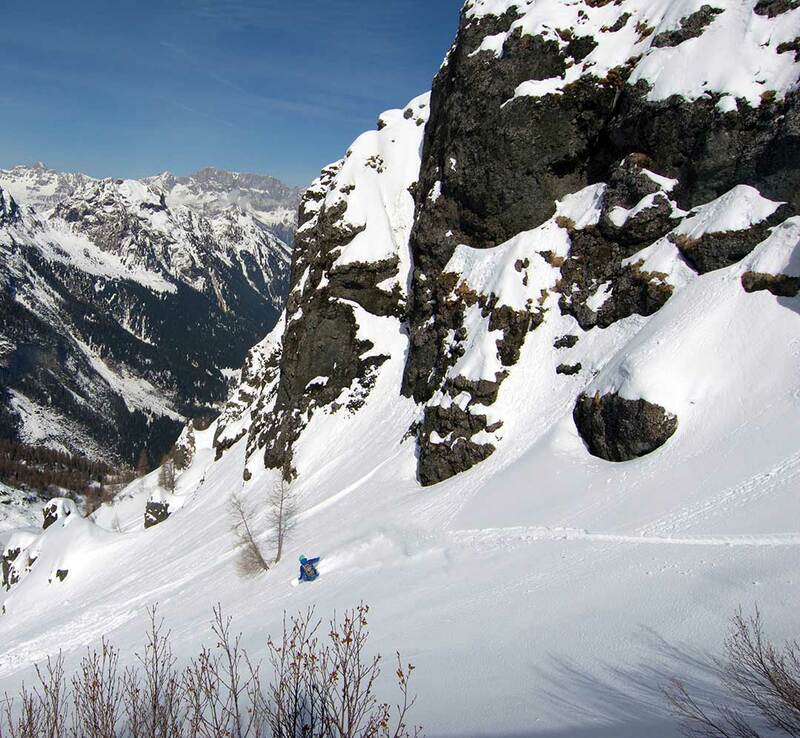 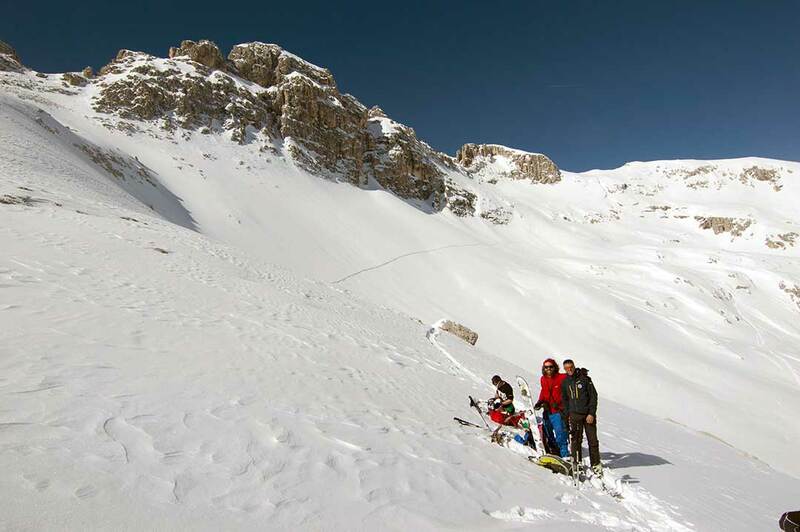 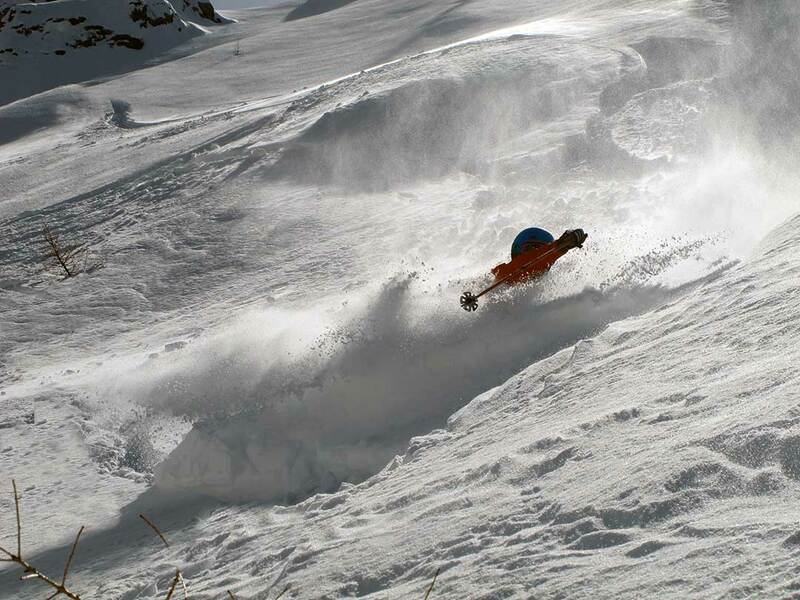 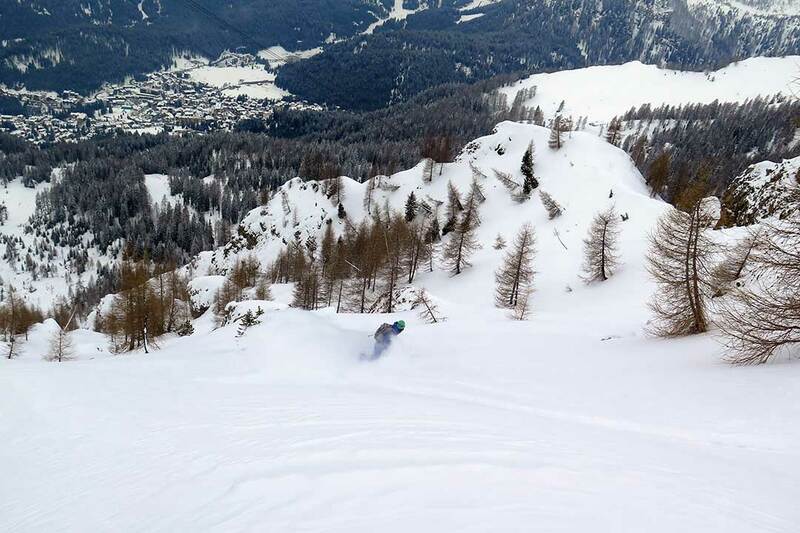 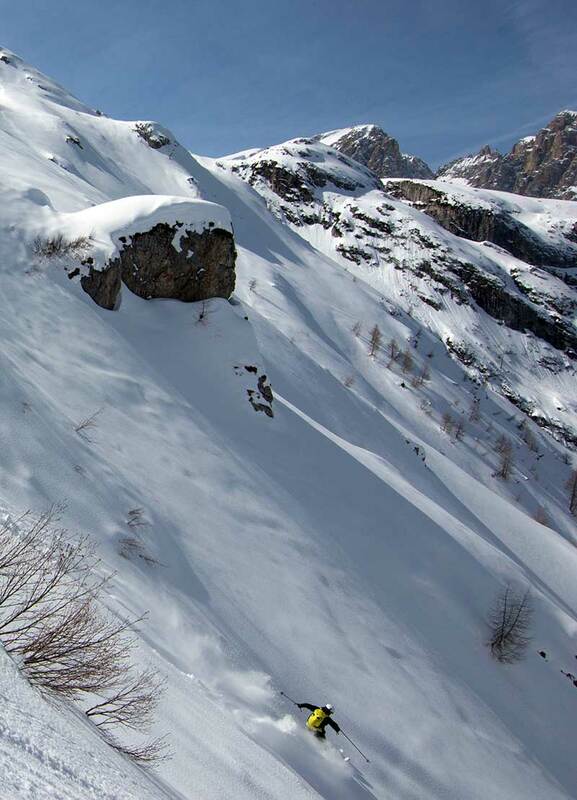 This entry was posted in Freeride, News. 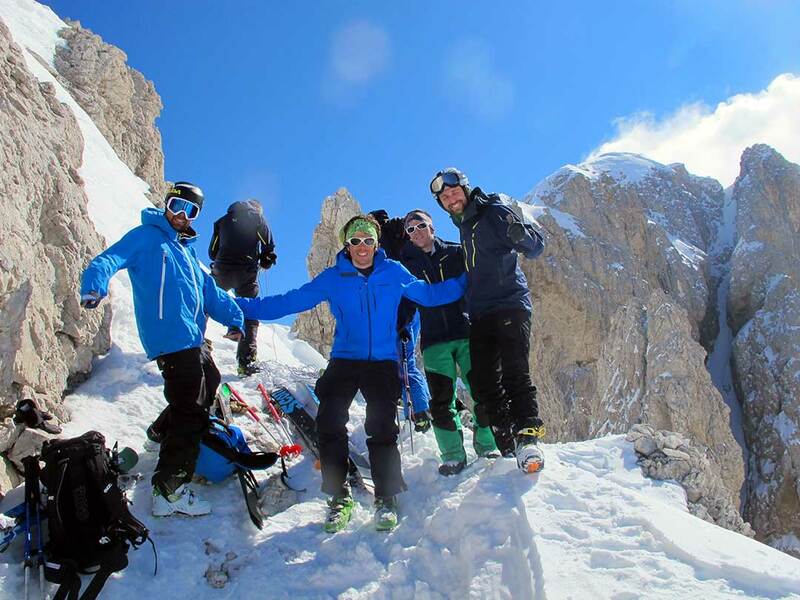 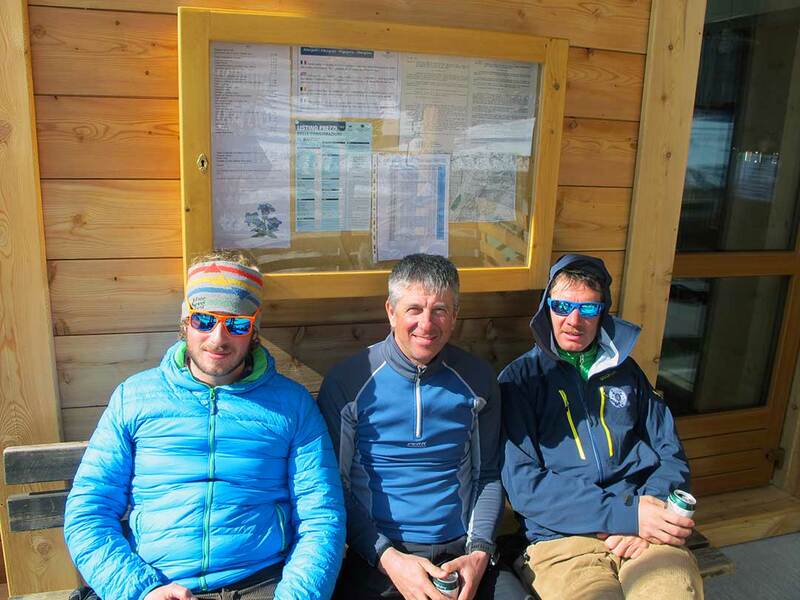 Tagged Aquile di San Martino, Arnaud Cottet, big mountain riding, big mountain snowboarding, Bjorn Herreger, Bureloni, camp, Climbtoski, couloir, dolomites, dolomiti, epic, Eric Girardini, Farangole, fitwell, freeride, hors piste, italia, italie, italy, jonessnowboards, Jonessolution, luca pandolfi, Man Storna, montagna, montagne, mountain, mystycfreeride, neige, neve, Pale di San Martino, Passo Rolle, pente raide, polvo, poudreuse, powder, Pradidali, ripido, Rocco Romagna, salewa, salewa athletes, San martino di castrozza, snow, snowboard, snowboarding, spark, Spark afterburner, splitboarding, steep, steep skiing, Val Canali, vertical attitude.